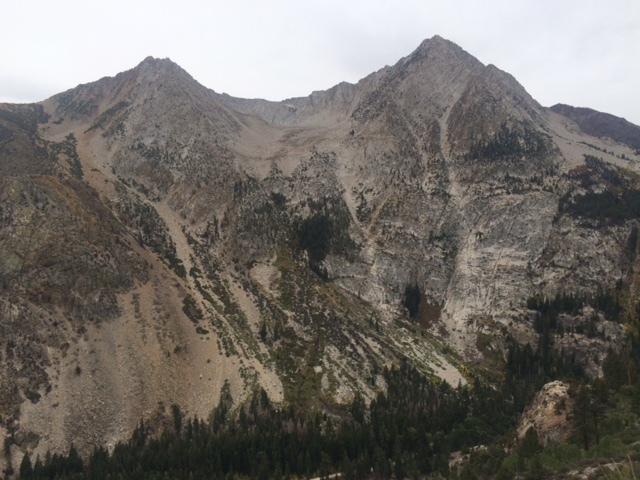 Trip Log – Day 148 – Bridgeport, CA to Yosemite National Park | How Will We Live Tomorrow? At 7:00 a.m. I left my nifty cabin along Virginia Creek. At 7:00 p.m. I was eating dinner in Curry Camp Lodge between a trio of Chinese girls writing post cards and a pair of Austrian climbers who had just scaled El Capitan in six days. In between was a tale of determination overcoming faulty planning. 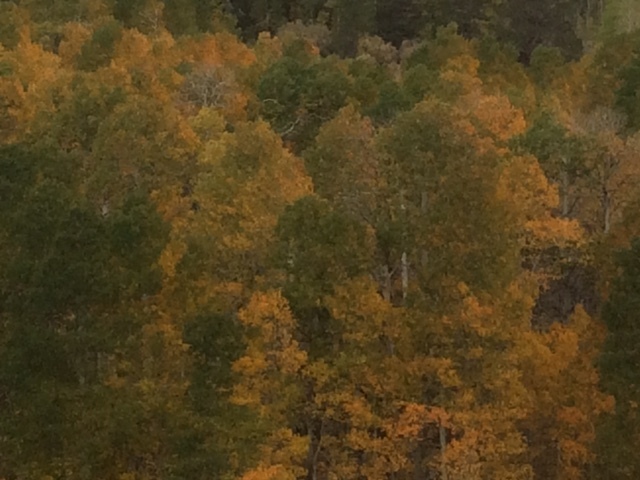 I’d heard there was a good restaurant in Lee Vining, twenty miles from Virginian Creek Lodge. 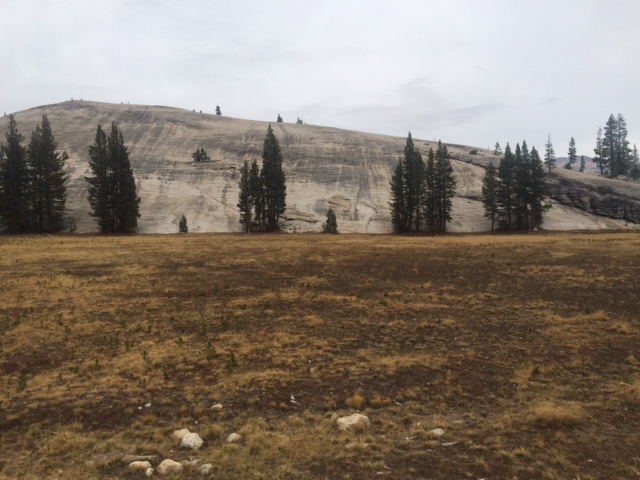 I decided to ride there, eat, and then tackle Tioga Pass to Yosemite. 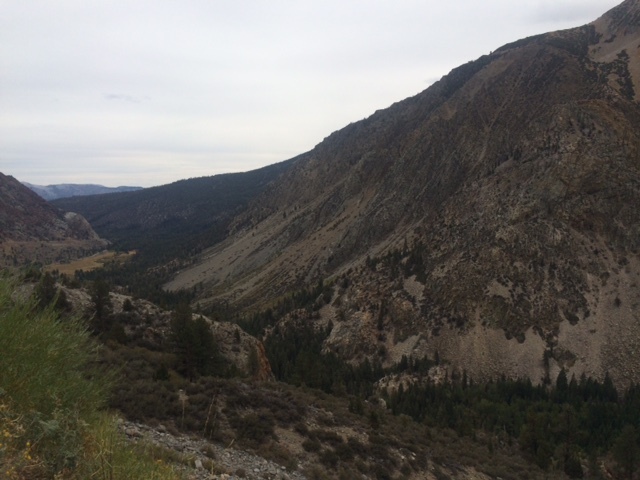 I was careful to check the grades over Tioga Pass, but failed to check the first part of my route. Eight miles straight up to Conway Pass on an empty stomach makes for an irritable cyclist. Even so, I could appreciate Mono Lake shimmering in the morning light. 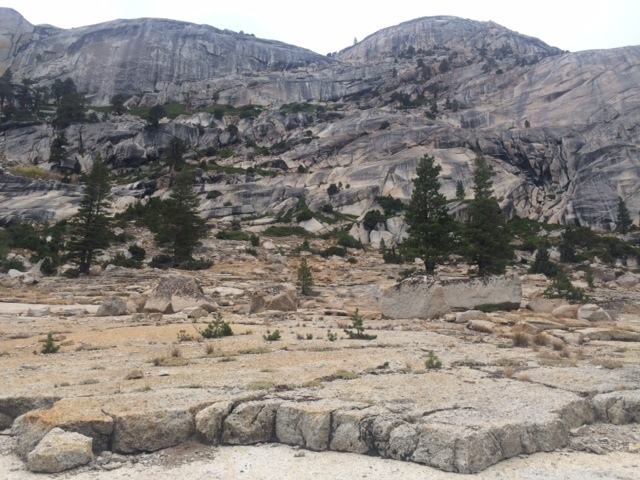 It was eleven a.m., with only twenty miles under my belt, by the time I finally ate and started up Tioga pass. My mind spun with alternate plans – no way would I make it 80 miles to Crane flat Campground on the other side of the Sierras. Other campgrounds existed once I reached the park. 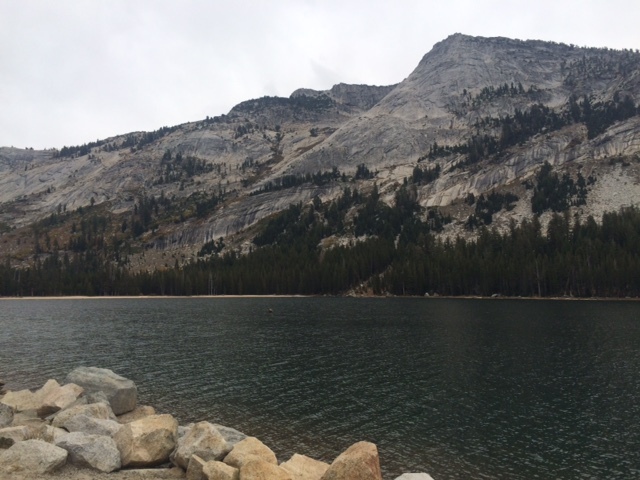 Tioga Pass from east to west is a long, steady, picturesque climb. I reached the summit, and Yosemite entrance, at 1:30 p.m. Over the next 48 miles I had 3,000 feet of fall; perhaps I could make it to Crane Flat. 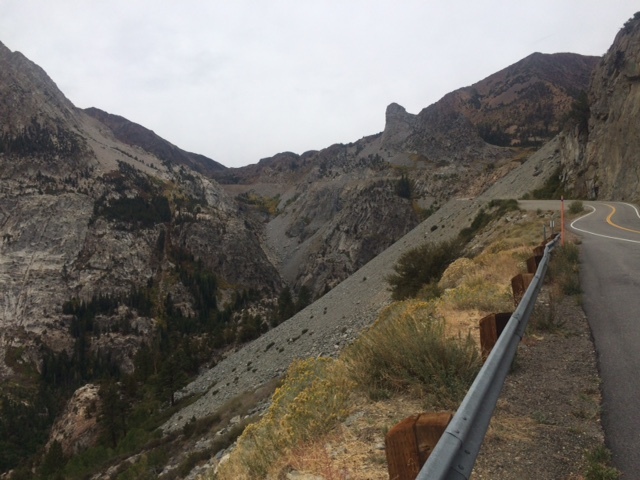 Tioga Pass is a seasonal road that will close within a month. However, the services along the way were already shuttered. Getting to Crane Flat was an imperative, not an option. 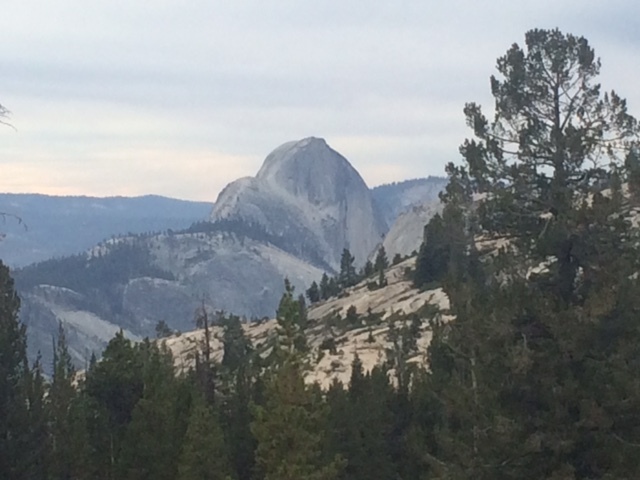 Still, I enjoyed Tuolumne Meadows and Olmstead Point, my first view of Half Dome. Each decent gave me confidence I would make it before dusk; each climb gave me despair. Finally, at mile 64, the road turned to fresh pavement and a steady downhill. For sixteen miles I coasted at 20 to 25 miles per hour. Crane Flat turned out to be just s deserted as other areas, so I kept on rolling down. 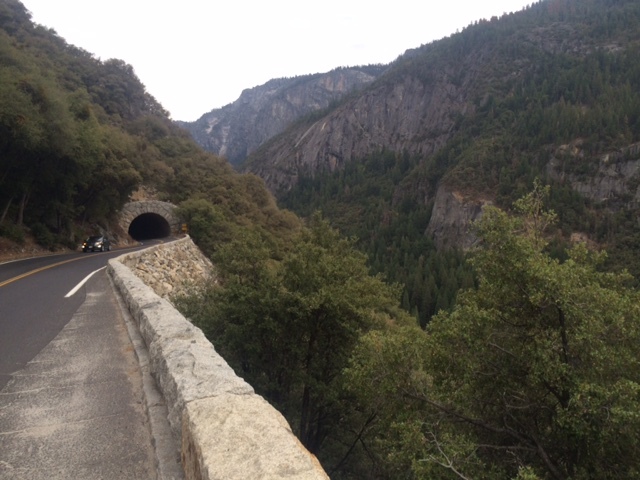 There are three tunnels on Route 140 into Yosemite. I came out of the first one and realized immediately what all the fuss is about. Yosemite is breathtaking; sculptured and muscular. Architecturally, it is Gods masterpiece. 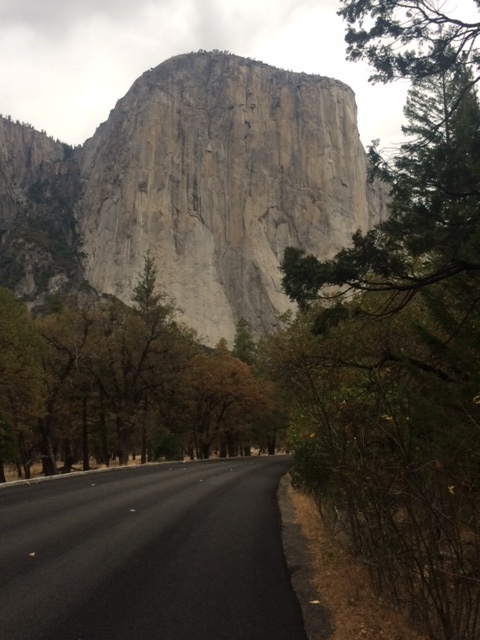 The rest of my ride into Yosemite Valley was a joy, though it was too late to stop at the sites. Leave tomorrow for that. 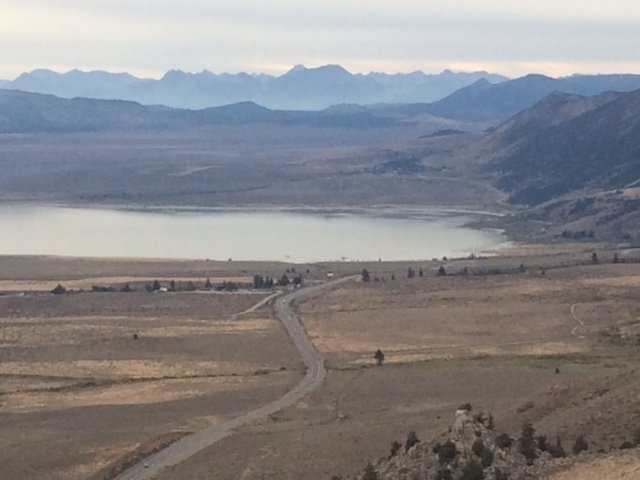 This entry was posted in Bicycle Trip Log and tagged Carne Flat, Lee Vining CA, Mono Lake, Olmstead Point, Tioga Pass, Tioga Road, Tuolomne Meadow, Yosemite National Park. Bookmark the permalink.